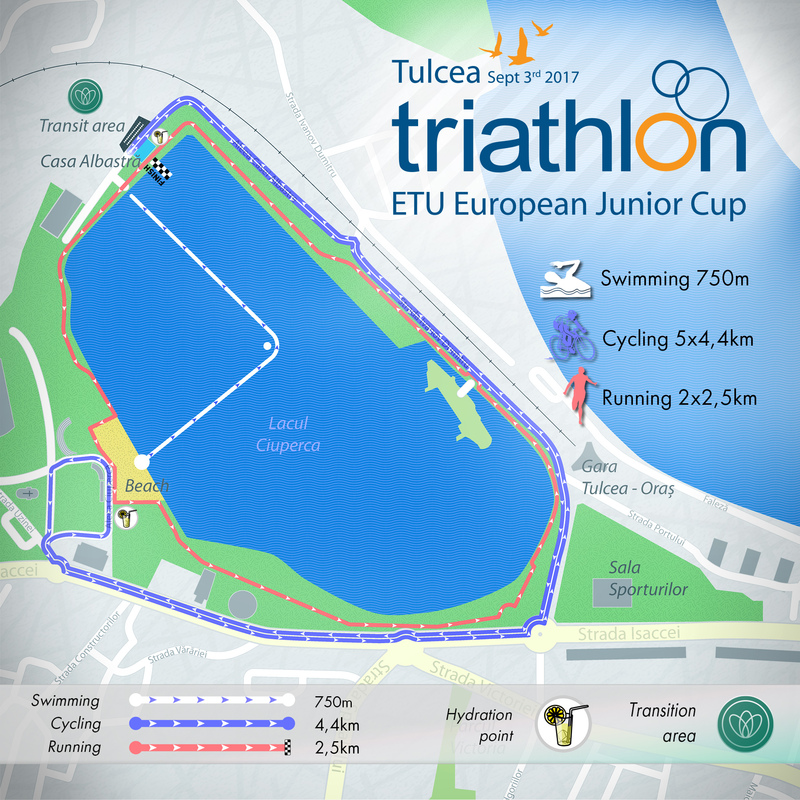 Delta Rowmania ETU Triathlon Junior European Cup – a spectacular race on a beautiful course which goes along the shores of Danube river in Tulcea, the main gate to the Danube Delta. The triathlon opens the festivity of RowmaniaFEST - The International Rowing Boats Festival, already at its eight edition, an unique event in the Central and Eastern Europe, an authentic Danube Delta experience and an opportunity to discover the natural Danube Delta through its own landmarks: entertainment, tradition, culture and sports. The triathlon takes place on 25-26th of August and the Festival takes place during 31 August - 2 September 2018, three days of paddling contests, rowing tours, triathlon, concerts on the Danube’s promenade, debates, film projections, Slow-Fish gourmet moments, presentations of social projects covering eco-tourism, slow-tourism and responsible tourism, expeditions in the Danube Delta etc. Rowmania Fest is initiated by Mr. Ivan Patzaichin, one of the greatest athletes of Romania, born in Mila 23, a village in the Delta. Mr. Patazaichin is dedicated to the Danube Delta’s conservation and its future sustainable development as the most important eco-destination in Europe. A 750 m loop in Ciuperca lake. Start – from the water. Urban circuit (Casa Albastra Alley – Ivanov Dumitru St. – Lacul Ciuperca St. – Isaccei St. – Casa Albastra Alley. Athletes will then turn back down on the same way.) Free of traffic. The run course is flat and goes on the running track of the Ciuperca lake. 5 km (2 loops). Completely free of traffic. You may book and organize your transport yoursef (please see below) or book through the ICAR TOURS Tourism Agency - tulcea@icar.ro, Contact person: Florentina Pascal, phone: +40 755157539. There are several daily trains from Bucharest and Constanta, via Medgidia. The train station is located about half a mile from downtown Tulcea. To check the latest train schedules for domestic routes please visit the website of the Romanian Railways: http://www.cfrcalatori.ro. The site has complete information about domestic train schedules and fares. *Note: For Tulcea please select Tulcea Oras. For Bucharest please select Bucuresti Nord. The Tulcea bus terminal is located half a mile from the city centre, near the railway station and ferry terminal. [Otopeni (Airport)] - Bucharest - Urziceni - Slobozia - Harsova - Tulcea (E60 - Route 2A - Route 22A) - 297 km, 3h 35min.